Scott Disick has revealed he bought a ring and proposed to Kourtney Kardashian. The pair split back in the summer of 2015 and ever since it’s been rumoured Scott has been trying to win her back. 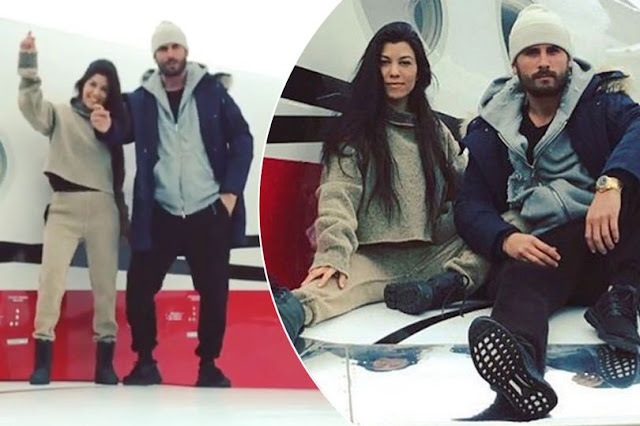 Speaking on an upcoming episode of Keeping Up With The Kardashians, MirrorUK reports Scott tells Kim and Khloe that he thought the pair would get back together following a ski trip to Aspen, which they went on at the start of the year, with their kids. “Kourtney and I have been spending a lot more time together, so I decided to take her and the kids to Aspen,” he says. “It feels like the old days. I feel like what Kourtney always wanted from me was for me to be sober and healthy and just be there to take care of my family. I’ve been really present and haven’t been drinking. "A year or so ago I feel like there was a point where we didn't even speak or see each other, so this feels good.”The pair shared a series of snaps together on their trip and Scott tells Kim and Khloe that after getting back he thinks "everything is going in the right direction”. Kim then asks Scott if Kourtney was aware that he had bought her a ring “to propose”. Scott says she does, but Kim points out to Khloe it's a different ring to the one they found in the pair's old house - it was actually a newer Lorraine Schwartz rock. But before he returned it, Scott admits he did propose, but Kim and Khloe weren’t aware he actually went through with it.